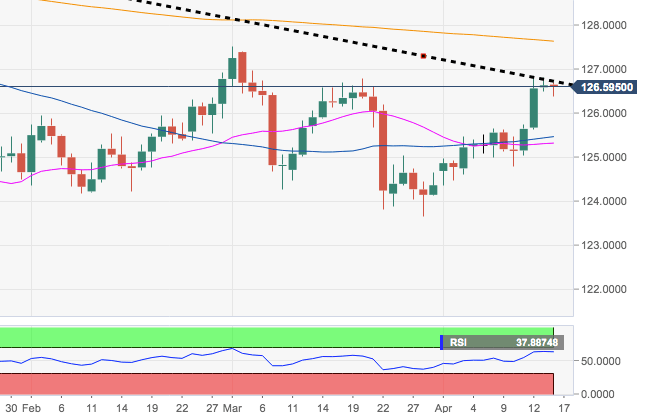 EUR/JPY is navigating the upper end of the recent range in the mid-126.00s following a test of the boundaries of the key 127.00 barrier. Immediate target on the upside is now at the 2019 high at 127.50 (March 1). Extra gains should visit the critical 200-day SMA, today at 127.65.